People are using phones more likely than laptops, cameras or tablets but there is an explanation for this kind of situation. Cause we have it all in one, always with us it’s obvious we rather reach for our iPhone than laptop or tablet. Nowadays smartphones are becoming bigger and bigger. New generations which are introduced on the market with lots of new possibilities, like great campera – 12 Mpix, sometimes it’s even better than in small cameras, huge built-in memory, various applications etc. 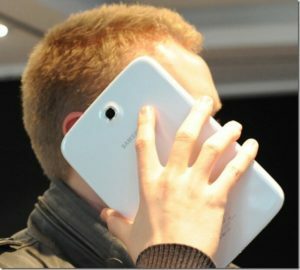 Few years ago this wasn’t really a common picture, but now the worlds changing and seeing a person with phone nearly as big as his head is something widespread and normal. People love to have easy to use products. It doesn’t matter if it’s a phone or a new pad, it should work fast and it should be easy to use for everyone. But now new problems occur. It’s becoming harder to navigate our phones just by using one hand and not dropping it. But there is a solution for that! As our phones became larger we started facing some new problems with free using it, users would like to be able to navigate their iPhones without any issues. 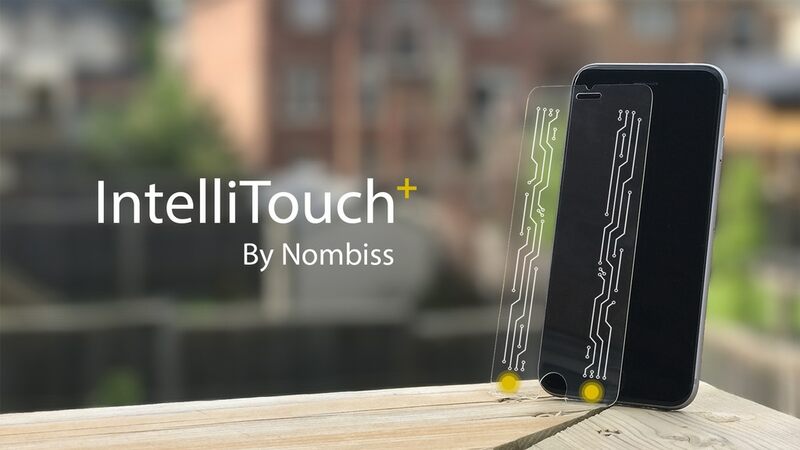 Now it would be able by using iPhone Screen Protector! 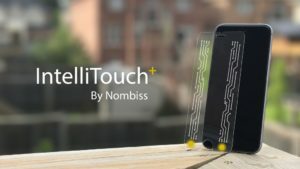 As you can see on the picture above there are two built in circuits which are carrying your touch to the top of your iPhone screen. 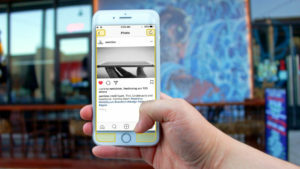 While the user is tapping either left or right button it allows him to conveniently access the corresponding navigation icon without reaching the top of the phone. It is designed for the iPhone 8, iPhone 6, 6s & 7. This product is resolving problem of using big smartphones and enables to have more convenient way to navigate our smartphones. Nowadays people usually use credit cards to pay in shops, clubs, restaurants and other places. We can spend a lot of money just thanks to a little peace of plastic with a chip. That was a brilliant solution but now we have something even better than that. 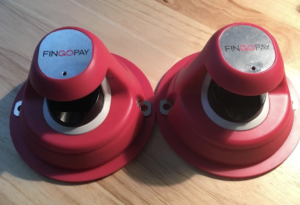 Fingopay is a completely new way of paying for your grocery! Fingopay is a payment system where the only thing you need to have while making the transaction is your own finger, nothing else. This method is solving many problems. Firstly, you can be sure that you won’t forget your credit card or wallet so you will be always prepared to pay. More more awkward moments in gas station or grocery shops. Secondly, you can’t loose your finger so you can be sure that your money are save with you. Thirdly, there is no way that somebody will rob you. The company’s head quarter is located in London where the production is launch since 2015. 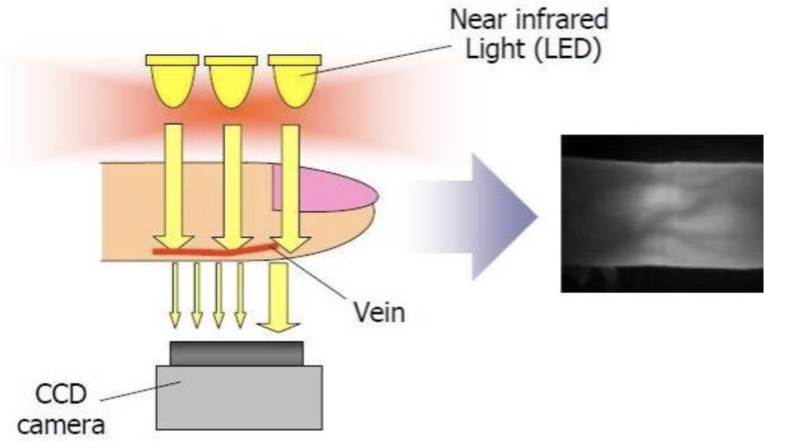 They have created in collaboration with hitachi a device that uses biometric Vein ID. Thanks to that it provide us with safest method of protecting our data because there is no higher mathematical certainty of proving someone’s identity. Fingopay has successfully completed trials with Visa and Worldpay. It’s safe, simple and reliable payment system. Nowadays everything needs to be fast, consumers are getting frustrated and easily bored. Moreover we’re not a big fun of waisting our time in a queue. But here is the solusion also for that! No more PINs, passwords, cash or bank cards. The only thing you need is your finger. Whole paying process is smoother and quicker. 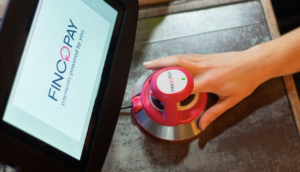 To use this device you need to go through 3 stages, the 1st one is that you have to register on the website and link your card with your finger when you are paying at a shop or other place equipped with Fingopay, then pay with your finger, and to finish you will receive the Payment confirmation by e-mail. It means that you need to be present. It won’t work if somebody will cut your finger and try to put it to device, pretending to be you. Still not convinced? Selfie stick? That’s not enough. 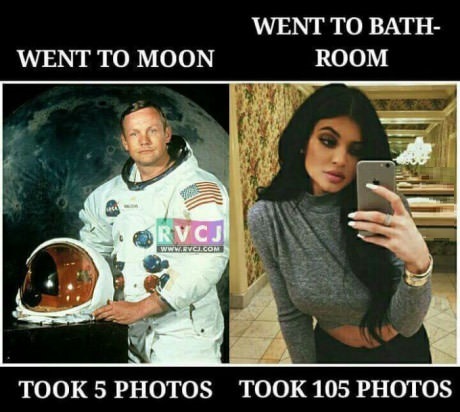 I am sure you know what is a selfie stick and how you should use it. Nowadays it is all about making photos, everywhere and as many as we can! At the beginning it was awkward to be caught while making a selfie. Maybe not for all of us but for me it was really awkward moment and I wanted to eliminate such situations. Then everything changed when selfie sticks appeared on the market. Even before them we all knew that making photos not only on vacations is just a normal situation. Using selfie stick everything became more easier and common. Selfie stick is great and helps but this post is going to show you that selfie stick was nothing comparing to this new product invented by a group of students. I am talking about 3-Axis Stabilizer! It’s not just about the photos, it’s more about the videos you can make by using this product to make the job done. There is no way somebody could complain about this product because it is easy to use, it’s small so you can always be ready to film whatever you want to and be ready for it all the time! Creators are describing their products as “luxuriously smooth video for the Modern Creators”. 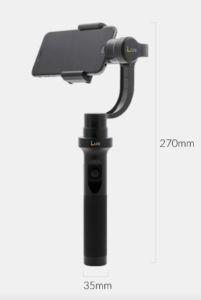 It means that even though you don’t have the best filming skills you can still use this stabiliser which will allow you catch all moments and film them just the way you see them. This stabilizator is for both – professional videographer as well as amateurs. With this product you can film it all because the battery life is up to 8 hours! 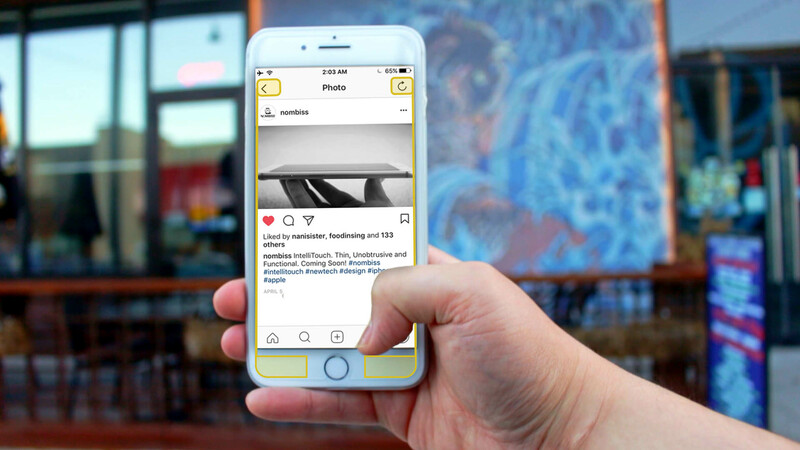 All you need is stabilizator and your smartphone which is always with you, isn’t it? Creators are normal people who loves extreme sports where filming their performance is the most awaited moment so that’s the reason they are saying that “your equipment shouldn’t limit your creativity”! With this words they created a new selfie stick which enables to film everything! Toothbrush – brush your teeth in 10 seconds! Would you like to have a toothbrush that is going to clean your teeth just in 10 seconds? If the answer is YES you should definitely read this post! Amabrush is a new product that can brush your teeth without any help in just 10 seconds. 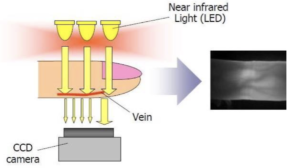 How is it possible and how does it work you might ask. It is really easy! Only thing you need to do is put the toothbrushes into your mouth and it automatically will start to brush your teeth , all at once. It does not look like a typical brush, it is bigger and has completely different dimensions. This is first fully automatic toothbrush in the world. The only thing you need to do is press a single button to clean your teeth. 10 seconds to clean your teeth sounds insane but it really works because all teeth are clean simultaneously so there is no need to clean them more time. Dentists recommend to brush teeth at least 2 minutes but if we need to have in mind that we are brushing one teeth then the other one and so on. Using this method allows you to brush each teeth for 1.25 seconds but using Amabrush you can clean each surface for 10 seconds because all teeth are cleaned at the same time. Moreover you can save time and have perfectly clean teeth all in one. Plastic silicon from which the brush is made kills up to 99.99% of bacteria. You can save up to 100 days of your life only by using Amabrush instead of using a typical manual or electric toothbrush. Product is eco friendly because of low voltages technology which is used. You don’t need water to use it – generates savings. Toothpaste is already included in a small capsule which is placed in the toothbrush so there is no waste generated. Furthermore brush is automatically providing the perfect amount of toothpaste each time you use it. One capsule last for more than a month and costs only 3 euro. You can have three different flavours: Extra Fresh (blue), Whitening (white) and Sensitive (rose – without fluoride). Sharing with other people is possible because of magnetic connection which allows people to change mouthpiece and use the same handpiece. Battery lasts for 28 washing sessions (2 weeks if your brushing your teeth twice a day). It gives you opportunity to take your device wherever you are and clean your teeth in only 10 seconds without even going to the bathroom. You need to change you mouthpiece each 3-6 months to be sure that everything is effective and works well. Cost of one mouthpiece is 6 euro. Still not convinced that this is a best toothbrush? Evrnu – creating the future of textiles! 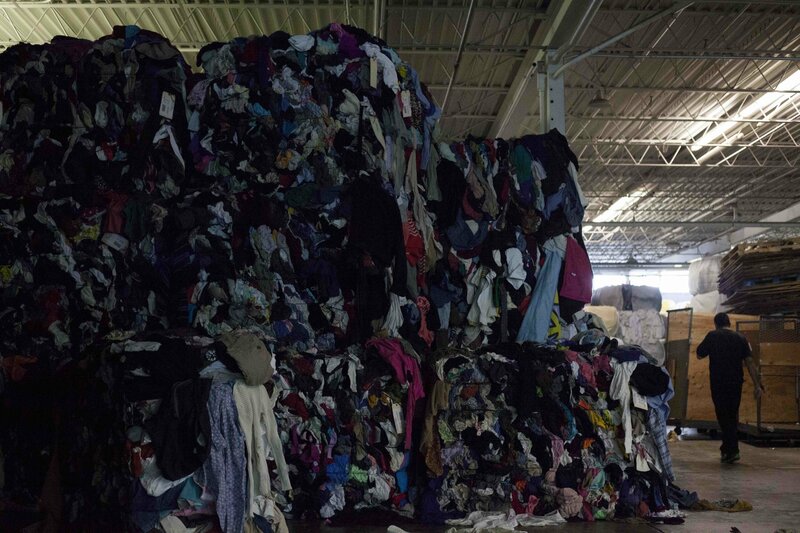 Textile and clothing recycling is a beneficial activity for both sides – we have companies which are providing us with needed clothes and on the other hand we have customers with specific needs, tastes and preferences. Each year we buy lots of new clothes which are more trendy or just because we like them, not because we really need them. People throw away their old clothes every year statistically each American throws away 37 kilograms of textile and clothing per year! Only 15 % of this number gets donated or recycled. Why shouldn’t we make it 100 % recycled? Evrnu is a startup with specific social purpose. This company is registered in the State of Washington, USA. By 2014 Evrnu started collecting money from investors. 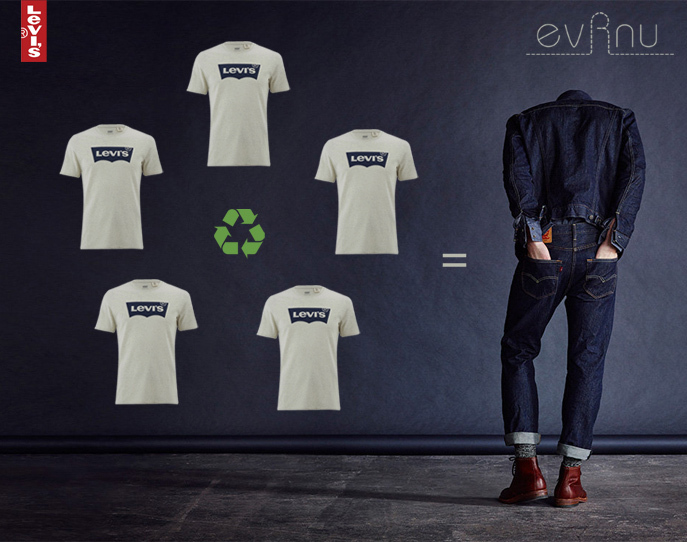 Evrnu makes cotton recyclable. People create 12 millions tons of textiles each year. Millions tons of clothing are landfilled but soon it will only be a history. Evrnu makes cotton recyclable, taking the millions of tons of garment waste and up cycling it into premium fiber for the use in new, high-quality garments. China’s Textile Industry is the largest producer of cotton shirts worldwide, creating an output of 60 million garments a year. This is nearly 54% of the world’s total production. Now think about the producing process. To produce one t-shirt company must use 700 gallons of water! Each year China is using 2,5 billion tons of wastewater every year only for textile industry. They give the opportunity to recycle the products that they already made by those brands. As an example, Levi Strauss and Co. company produce first pair of 511 model jeans by using five discarded cotton T-shirts and the Evrnu technology. This available to use 98% less of water during the overall process of production. Resource extraction and waste are eliminated! New fiber can be produced from the products we are throwing to garbage.